In partnership with the Institut Guy-Lacombe de la famille we are offering organised activites for children during select 2-for-1 matinées of our main stage productions. Your child(ren) will benefit from activities tailored to them at the IGLF in La Cité francophone while you enjoy the show. Limited spots available! Registration for the Jeu d’enfants on March 23 is open until March 22. We will only use your email to confirm your registration. How old is/are the child/children you are registering? You can select more than one play. Does your child have any allergies or particular needs that we should know of in order to better organize the activity? Thank you! Click here to proceed to the payment. Theatre is a gift. Sometimes we love it and find it useful, other times we do not quite know what to do with it. However, contrary to a gift we cannot return our theatre experience. It stays with us forever. My life has been marked by thousands of plays that I have seen or have acted in and each production remains close to my heart. Through this artwork coloured by different styles, themes and characters I have learned a great deal about myself and humanity. The message is not always easy to digest. From tears to laughter, I have often found myself living a range of emotions through one singular play experience. I have also seen my opinion of a show evolve after discussing it with friends and colleagues, helping to further my understanding of theatre. One thing that is for certain: theatre must be shared. As well as existing for entertainment purposes, it creates important opportunities for dialogue between members of our society. 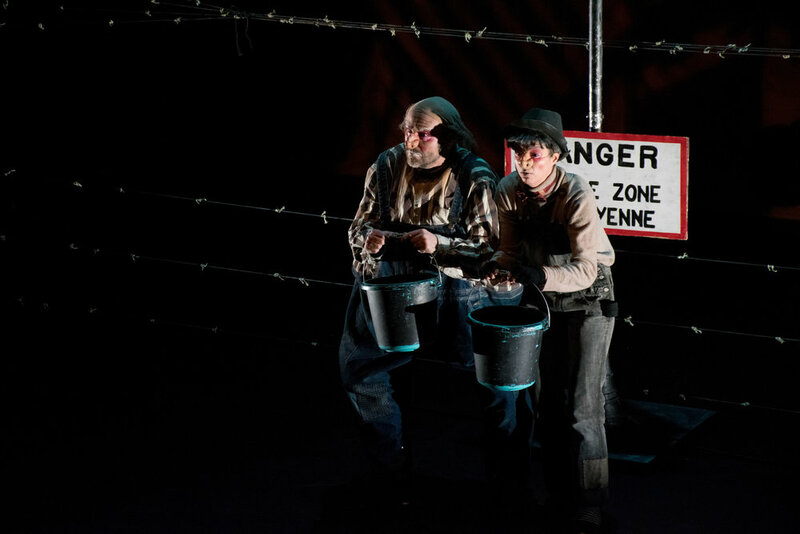 For its 26th season, L’UniThéâtre has the pleasure of presenting to you a series of Canadian works. Our first mainstage play, Billy (Les jours de hurlement), is penned by Québequois playwright Fabien Cloutier. From Saskatchewan, we will be presenting Ma Irma, a Troupe du Jour production written by Haley McGee and translated by the Franco-Saskatchewanite Marie-Claire Marcotte. Our last mainstage production, La Fille du facteur, is a new play written by Edmonton artist Josée Thibeault who will also perform this work. In addition to these productions, we also have our youth programming to offer to the community. 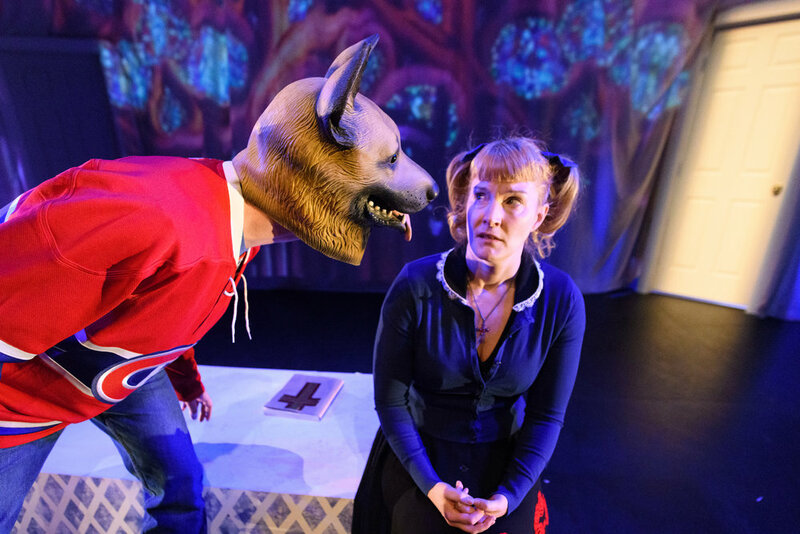 Leaving on a tri-provincial tour in the new year, students from kindergarten to grade 6 will be able to experience our Theatre for Young Audience play, Élise contre l'extinction totale, written by Paula Humby! Other activities include a return of our series of interactive stories, Fabulas-Fabulis, with three works for our youngest audience members. For teens enrolled in French language drama programs, we will once again be organizing the 30th edition of our Festival Théâtre Jeunesse, which takes place amongst the mountains in Nordegg. L'UniThéâtre also believes in the development of playwrights of all ages! Our public reading series À voix haute, as well as the workshops Coup d'oeil will permit our audiences to share a little in the developmental process of plays by local writers. 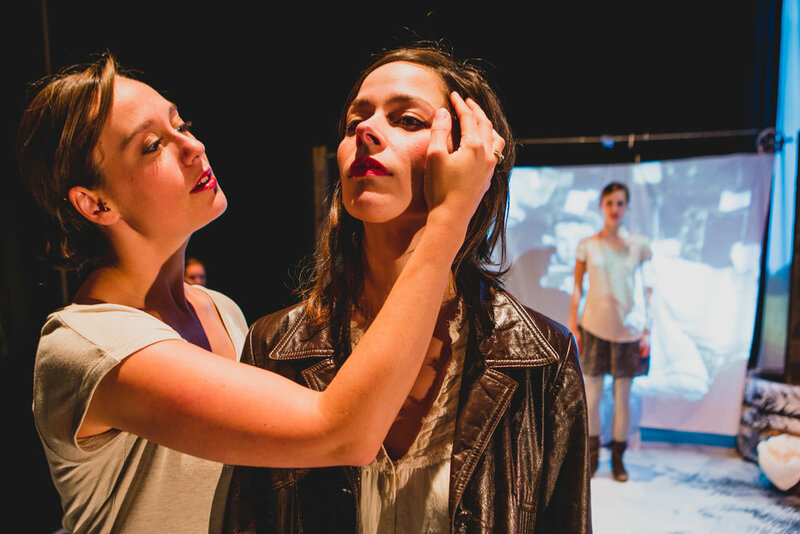 New to our programming this year and in collaboration with Workshop West Playwrights' Theatre, we will also present #voixencrées, a 5-class theatre writing workshop for junior and senior high school students. Together, I am positive that these works and activities will generate a multitude of discussions. I welcome you to come experience our 2018/2019 season with us – a season full of unexpected gifts!